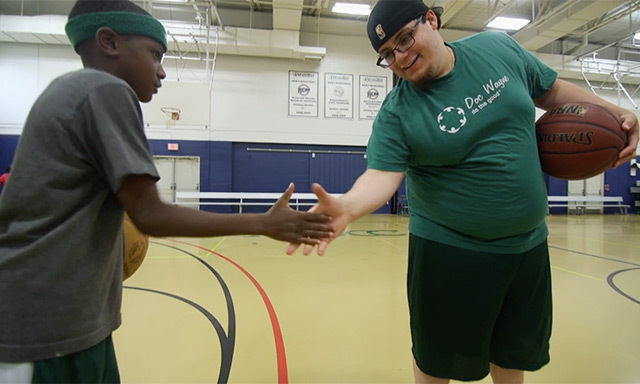 Doc Wayne is a Boston non-profit that is reimagining mental and behavioral therapy by fusing sport and clinical psychology to heal and strengthen at-risk youth. Each show airs monthly on FOX Sports Southwest and participating FOX Sports regional networks. Check local listings for availability and show times. For siblings Susan and Eli “Doc” Wayne, at-risk youth have always been at the heart of their life’s work. As a pediatric surgeon, Doc believed in using sport as a medium for positive youth development. Susan, on the other hand, has focused her career on strengthening communities and empowering kids through mental health. We’re challenging the norm of tradional therapy. When Doc passed away in 1999, Susan recognized an opportunity for her brother’s youth development philosophy to live on. With a goal to reimagine mental and behavioral therapy through the lens of sport, she founded Doc Wayne Youth Services in 2002. In its earliest form, Doc Wayne was an in-patient treatment program. 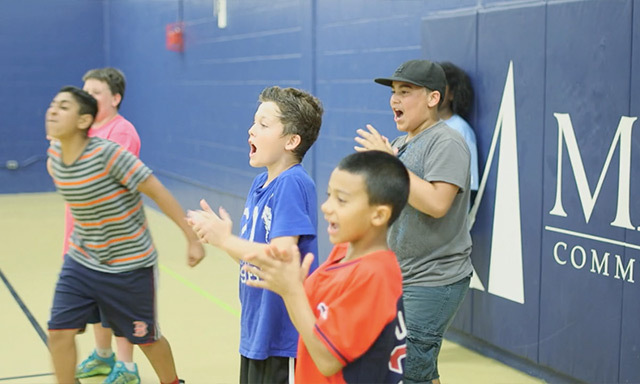 Over time, the Boston non-profit has grown to include public schools and local communities. Its Chalk Talk® group therapy program reaches hundreds of local youths each week. Doc Wayne’s reinterpretation of the traditional therapy model has replaced the therapist’s office with a sports court or field. Instead of meeting with clinicians, kids receive guidance from “coaches” on the field. Through Chalk Talk, Doc Wayne is destigmatizing mental health with a curriculum that shows the merits of teamwork, communication, confidence, and resilience in everyday life. For years, Eli Wayne focused on mending the body while Susan Wayne focused on treating the mind. Through the fusion of the Wayne siblings’ disciplines, Doc Wayne is able to provide healing for the mind, body, and hearts of at-risk youth. Get the latest Power of Sports videos, content & news.